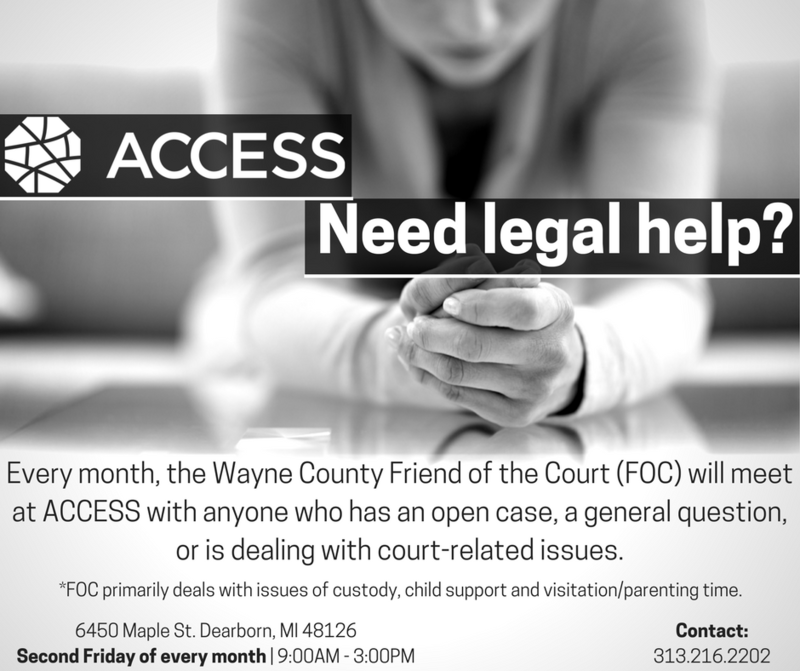 The Wayne County Friends of the Court (FOC)* will meet with anyone who has an open case, a general question, or is dealing with court-related issues. *FOC primarity deals with issues of custody, child support and visitation/parenting time. Second Friday of every month. Call (313) 216-2202 for more information.